Caregiving can be both challenging and demanding and take a toll on the caregiver. Holly shares some tips on how to survive the journey with a good attitude and an appreciation for life! In the last three years I have found myself in the role of caregiver twice. The first time was with my husband who was hospitalized five times in the span of a year and a half due to his extremely high blood pressure. There was a period of time that he was on ten medications and spent most of the day sleeping. Thankfully, his health care providers eventually were able to stabilize his blood pressure and he is in relatively good health now. The second time was over the course of this past year when my mom’s health deteriorated. She started to lose the feeling in her hands and feet and we had concerns for her safety. My husband and I moved in with her this past spring to help care for her. Her condition necessitated surgery, followed by several months of recovering in a rehab facility. She is home and learning to walk again and I have found myself in the role of “caregiver” again. Since many of my friends are also acting as caregivers either to a parent/s, an adult child who may have addiction or mental health issues, or even a grandchild, I wanted to share my “caregiving truths”! No matter how many siblings or relatives you have, someone is always going to be carrying the brunt of the load. Expecting it to be 50/50 or even close to that is unrealistic. The best thing you can do is concentrate on what you can do and hope that others step up. This was a big lesson for me. No one wants to hear how much you’ve sacrificed or how you are doing it all! When you hear yourself saying these things, it’s time to step away and really evaluate why you are acting as a caregiver. You cannot give love or receive it when you are acting like a martyr! Sometimes we are feeling things and we don’t even know it. A “feeling” just creeps up and we know it doesn’t feel right but we act on it. Anger, resentment, sadness, fear, are all common emotions in the role of a caregiver. What worked for me was journaling every day and then seeing what feelings came up and addressing them. I always say “you can’t fix it until you face it”. Don’t try to do it alone. If you feel too tired or stressed to visit your mom in the rehab ask a friend if they would go for an hour or two so you get a break. If you have siblings, try to break up the duties so someone handles the finances, someone handles the medical issues and someone handles other aspects of care. When my husband was sick I often had food delivered, asked my son to pick up prescriptions and even had friends get groceries. 5. Don’t Take It Personally! When people you love are in pain or sick they often say things out of frustration or anger. Do not take it personally. Remember, they are scared and may be depressed and often lash out at the nearest person. 6. Practice Excellent Self Care! This is one of the most important lessons I can share. Make sure you take care of yourself. Eat healthy, meditate, read inspirational books, and get enough sleep. I am really into podcasts and webinars that inspire me and I listen to something every morning before I start my day. 7. Put Yourself On The Calendar! Just like you schedule all the doctors appointments and other appointments for the person you are taking care of, make sure you put yourself on the calendar. One day a week do something that you love to do. Meet a friend for lunch or dinner, go to a movie, spend time with your spouse, etc. Remember, you need a break so put it on the calendar and schedule coverage so you don’t miss it. 8. You Need To Get Outside! Being a caregiver is often confining. Often times you are in the home and feel closed in. Every day make sure you get outside. Even if it’s fifteen minutes of meditation or reading in the backyard or patio. Take a walk down the street and if possible take the person you are caring for with you. Nothing like fresh air and a blue sky to make you feel better. 9. Give Yourself An Hour A Day! I stuck to this rule every day and it really helped me face the day. I always spent the first hour of my morning having a healthy breakfast with my coffee and something inspiring to read or listen to online. I feel this is so important for getting centered and ready to face the day. If morning is not doable, then maybe schedule an hour when the person you are caring for takes a nap. One hour makes all the difference. Even though being a caregiver can be hard and challenging, I find so much in the situation to be grateful for. The fact that I was able to give love and care to my husband and now my mother. The fact that they are both still here in my life. The fact that I have an opportunity to be of service and to be loving and kind. The fact that I have been able to get support from so many wonderful people and in turn have been able to support them when they needed it. The role of caregiver has strengthened me in so many ways and given me the ability to grow and have appreciation for life in a new way. 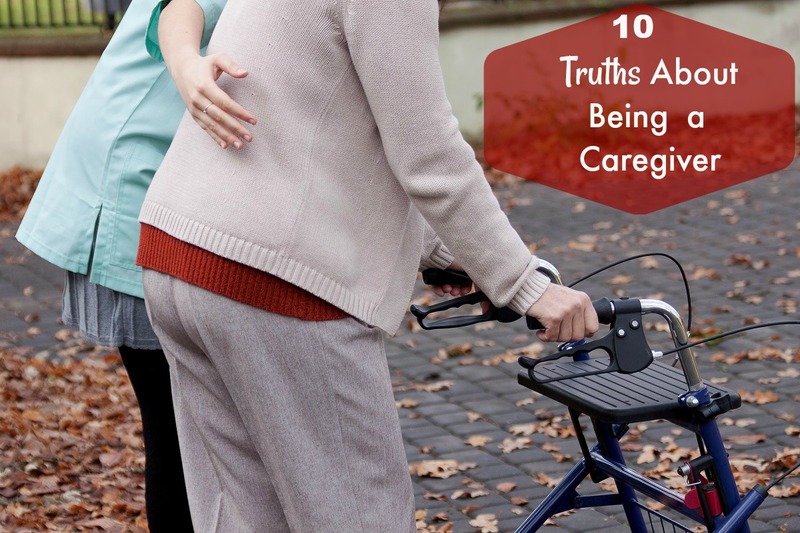 I hope that my “10 Truths About Being A Caregiver” will resonate with those of you that find yourself in a similar situation. My wish is that you find something helpful that will make your life just a bit easier on your caregiver journey. Are you now or have you ever been a caregiver? What was your journey like? Please share in the comments below. Holly Zucker is a wife, mother of a grown son, business owner and on the “Road to Reinvention”. After feeling like she had “lost herself” she has spent the last few years bringing back joy, pleasure, passion, fun, and community into her life. 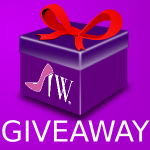 Her mission is to help other women “reinvent themselves” and start living their dreams and desires. We’ve done so much for everyone else, it’s our turn now! Make sure you follow Holly on Facebook at Holly at the Road to Reinvention. I admire those that can do that for a living. I don’t think I’d have the patience to do it myself. I’ll also be a horrible patient when the time comes! Somehow you find the patience when it is someone you love. You just do the best you can. I have a new admiration for those that are Caregivers as their profession. Most of them go “above and beyond” when it comes to their jobs. God bless them. I can’t imagine having to be a full time caregiver. I get too into my emotions to be effective. Hugs to you! Thank you Ashley. This situation was not by choice. If my husband and I did not move in with my mom she would have to move out of the house she had lived in for over 50 years. I have a Caregiver that comes in the morning and one in the afternoon. I take care of my mom from 8pm until 8am and on the weekends. There is just so much to do involved with her care. * to find humor wherever you can, even dark humor. Laughter is healthy. * stuck inside (even in hospital or if outside, stretch and do yoga exercises if possible. * Your #3 is important–facing feelings. I had resentment about needing to care full time for someone paralyzed. I was always happy outside of home ‘fixing’ the world, and now my world was one person, inside. I had to “reinvent” myself and I figured out that the job now given go me by G*d was to care for ONE person, and not the world. I put my all into the one person. A few thoughts for you, the caregiver. Thank you Joy. Your experience and advice really helps others including me. Yes, you absolutely need a sense of humor. As I watched my darling Marc Bachrach sleep during some of his visits to me in rehab, it became obvious that my caregiver was overwhelmed with the traveling, cooking, entertaining me with his beautiful guitar and singing, concern when I wasn’t getting the care he wanted for me, anguish about not having an answer for what this condition is, that they didn’t replace the ice in the cooler to protect the smoothies and food he made and brought, didn’t respond fast enough when I needed potty privileges (he even helped with a bedpan), and when we were faced with a discharge we weren’t ready for (had complications that prolonged getting active active rehab but wasn’t given the time to progress). I had to express that it wasn’t good for either of us to spend the time so “driven” that we couldn’t relax and enjoy our time with each other… that he needed to stay home and recharge. These are good suggestions. Take them to heart.. It sounds like such a challenging three years, Holly! My husband (along with his sister, brother and Mom) was a caregiver for his Dad for almost two months last year, as his Dad was losing his fight with cancer. I saw how incredibly difficult it was for my hubby, emotionally, of course, but also in terms of disrupted sleep and lack of self care. Thank you for this! God bless your husband and his siblings and mom. My dad died of Cancer over twenty years ago and it is such a horrible experience to go through with a loved one. I think the interrupted sleep is the hardest part. My mom needs to be changed one or twice a night and sometimes when I get back in bed I cannot go back to sleep so I wake up feeling like I haven’t slept at all. People who care for others like this inspire me. I think it’s one of the most selfless jobs and requires a very special person. I never saw myself in this position before it happened. I have always been a business person, involved in alot of things and never thought I could handle things like bathing or changing another person. After a few months I can do pretty much anything the Caregivers can. When you have true love for someone it brings out a whole new side of you. I always think about the caring and loving person my mom has been to me and my siblings and it makes me want to be of service to her. Big hugs to you! My mom is a practically full time caregiver to my aunt and it’s a lot of work. People don’t realize how much work it really is. Thank you Dawn, I so appreciate that. God bless your mom. I had no idea how much work the Caregivers were doing until I experienced it first hand. You really don’t get a break unless you schedule it for yourself. We have not come into that phase of life yet, but watching others, we know this is a challenge. So many good tips in this list. I am glad you liked it. I have gotten so much help from others in the same position. Oh, this takes me back to when my momma took care of my daddy’s momma. She never let on that it was any trouble at all. I just hope these tips will help me be as nurturing as she has always been. You are lucky to have such a loving mom and one who didn’t complain. It’s great that you have a good example to follow. I can see how these are important things to keep in mind when you’re a caregiver. It must be hard to switch off and take some time for yourself. I have learned over the last few years to practice “self care” and make it a priority. It was hard at first to leave my mom even for a few hours but I have excellent Caregivers that I can depend on and I need to take care of myself mentally and physically to be the best for my mom. Thank you for your kind words. You are absolutely right it’s like raising children. Right now I feel we are in a total “role reversal” and I am the parent and my mom is the child. Even though mentally she is very good, physically she needs assistance with everything. These are all so true. I watched people I love become caregivers and it can really take a toll. Great advice. Care giving can definitely take a toll. Please share this with anyone you know that is a Caregiver. This is incredibly helpful. I wish I’d read this a few months back when my mom was in the hospital for months and we had to help take care of her and my sister. It wasn’t easy and these would have all come in handy as we tried to work through it. Thank you and I am glad it you liked it. My mom was in the hospital for weeks before she went to a rehab for three months. Having a loved one in a hospital for months is so draining on the family members. I hope she is doing better now. I like #8 but also remember that your patient likes to go outside too. Benefit for both of you. Fresh air can be so invigorating. I am glad you shared that. I take my mom for walks in her wheelchair or we sit on the patio. She loves being outside and so do I. Thank you. I’m sure this was a hard post to write, but thank you for doing it. I know it will help others! And I think you left an excellent list! The self-care point really stood out to me. This post was very hard to write because I had to address some of my own feelings and admit somethings to myself that were not pretty. I was harboring alot of resentment and disappointment towards my siblings because I felt like I was doing most of the work and most of the sacrificing. A very good friend gave me some advice about sibling relationships from her experience when her mother was very sick and it really made me see the bigger picture. I do not want to have this situation ruin my relationship with my siblings for a lifetime. Self care is important every day of our life. It took me most of my adult life to learn that! These are great. It’s tough to remember not to tell everyone your sacrifices but you are right, nobody wants to hear it. We should do it because we want to and not see it as such a sacrifice. Thank you Christine. I agree we should do it because we want to. These are such valid and good points. I have not needed to help or seek help for a caregiver but this is very helpful information. Wonderfully written Holly! I took care of my parents from a distance (they lived in FL) then locally. Now I work with caregivers of people with dementia. I can relate personally and professionally to your article. You hit the proverbial nail on the head. I can tell from the responses you received you have helped many people. Thank you for your kind words. I also thank you for helping others. I am amazed at how loving people can be to those who are not their parents. It’s a gift to be able to do that. I often ask “what happens to people who don’t have grown children to help them when they are sick”? Thank you for being of service in the most loving way. Asking for help is definitely a must do! I remember when my mom was sick my dad would never ask for help even when he really needed it! God bless your dad. Sometimes it’s hard to ask for help but for me I knew it was the only way to get through this. I worked as a caregiver in a retirement home for two years in a foreign country. It was tough, not the job actually, but the homesickness. I had 8 residents assigned to my care and they were all non-ambulatory which meant I had to slightly lift them from wheelchair to bed to wheelchair to toilet and bath. I took my rest days seriously. I left the premises at the crack of dawn and returned close to midnight. It was a chance for me to be me, to enjoy shopping, short trips, and eating to my heart’s content without anybody rushing me to be done. That must have been a very hard job but you made a difference in those people’s lives. Glad you were able to get away and enjoy a different country while you were working. God bless you for what you did. I truly admire people that take on the caregiver role. It’s not an easy task at all. I took a course to become a caregiver/nursing aid for the elderly. I did amazing during the practical part but when I started my stage, I couldn’t do it. I just hope when I’m old enough to need care, my kids will be there for me. I don’t think I could do the job of a Caregiver if it was for someone other than my mother. It is so demanding both physically and emotionally. I always joke that when I am older will my son be able to take care of me and/or my husband! Take care. Great article with strong advice and insights – thanks for writing this; you can tell by the number of shares and comments that this article hit a chord with people. Keep writing on this subject and on everything that brings joy and peace into our lives. Thanks so much, that means alot coming from someone who is a writer. So many baby boomers are in the same boat and I have gotten so much insight and advice from those who have already experienced this. I know what you’ve been through: I acted like a caregiver to my grandma for 2 months, last year…my mother and my other uncles and aunt work, so I decided to go. It has been difficult, but me and grandma share a special relationship and I was happy to finally make myself helpful. Unfortunately, dementia escaleted quickly and we had to move her to a caregiver center, where she currently is. It’s not easy to see her there, but we know she’s taking care of 24/7 and all the nurses love her…that’s a bit of a relief, I guess. With an aging population or if you have an elderly parent these are great tips. My brother is our Mom’s caregiver and has been for 8 years. My mom is 93 and was extremely healthy until she had her first mammogram at the age of 80 (after tons of begging) and they found cancer. That was 13 years ago and she is fine. She took care of her mother, who lived to be 99 and then took care of her husband until he passed away at 88 years old. Good caregivers are truly angels of mercy. Thank you for sharing your knowledge with the rest of us. It is truly heaven sent. Years ago, I took care of my Grandmother. It was very rewarding to me to be able to help her and give back to her all the care she gave me, yet, it was a very stressful time. People that can can do this full time are saints!